We put your comfort and style first for your travel experiences. brings you Livermore wine tour, San Francisco wine tour and Napa tour for a luxury ride during those special and important occasions. You can create your own tour with Prestige Limousine, just tell us where you want to go and what you need. Call us now! Perfection is not just any word to us. Here, we make sure to give you a Livermore wine tour San Francisco wine tour and Napa tour that will surely meet your needs. You’re sure to find satisfaction with Prestige Limousine’s Livermore wine tour and San Francisco wine tour. Should you have inquiries about our Livermore wine tour, please feel free to contact us. We have our word that we’ll attend to you in no time. Make your sightseeing tour more special with Prestige Limousine and our Livermore wine tour and San Francisco wine tour, satisfaction guaranteed!. 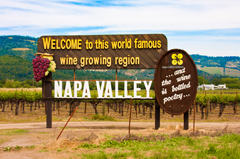 From stylish restaurants, boutique hotels and intimate wine tasting experiences, Napa is a great destination for wine lovers as well as foodies and anyone just looking to get away to enjoy a bucolic vacation. Sonoma County offers a world of possibilities. You can discover the Pacific coastline, excellent restaurants, giant redwoods and of course, wineries. 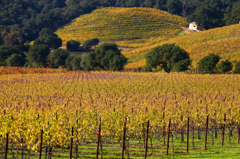 With extraordinary views, weather and land, Sonoma is home to some of California’s most legendary wines.